Last year, we unleashed a new form of rebellion on the urban grid. The Harley-Davidson Street® 750 motorcycle. 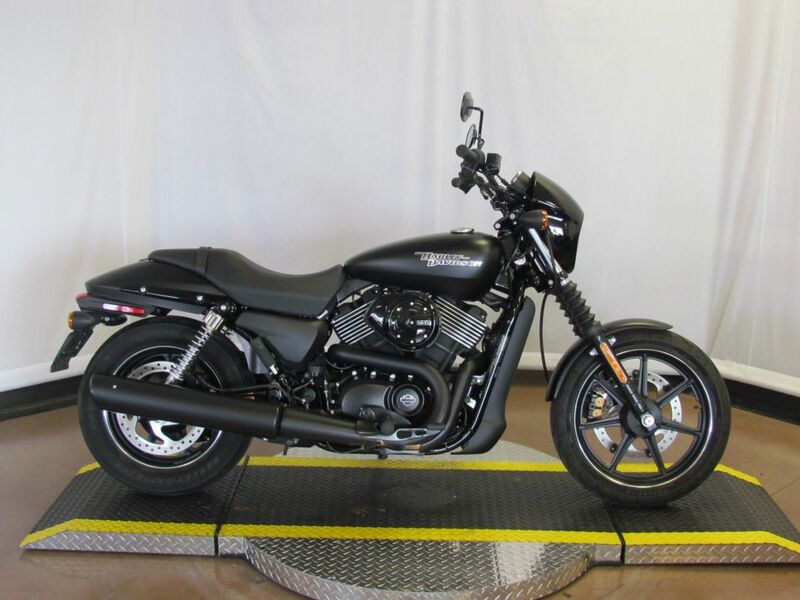 This is a machine built to let you shred traffic in plenty of infinitely customizable Harley-Davidson® Dark CustomTM style. Liquid-cooled engine. Quick handling. A suspension tuned for rough pavement. Fire up the blacked out engine, send some sound out the blacked out pipes, and get behind the café racer windscreen and go. Consider the traffic whipped. 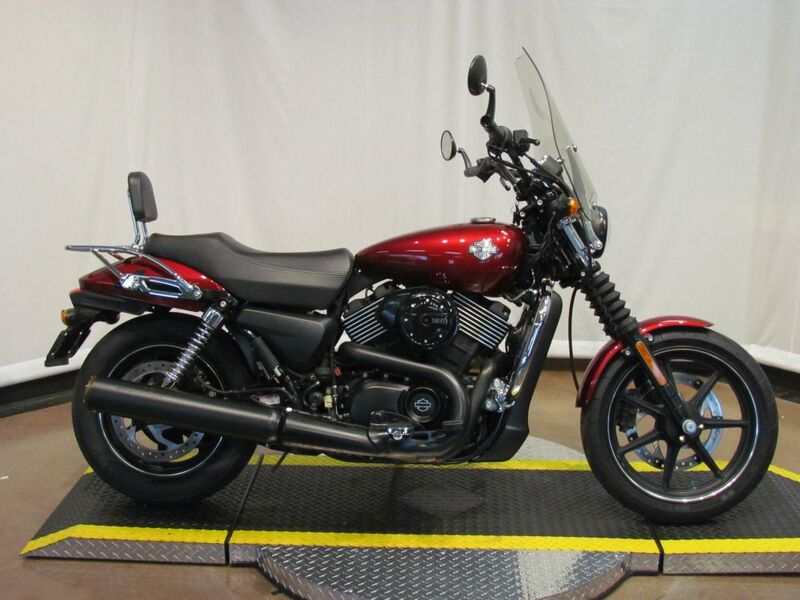 Installed Accessories Include, Detachable Windshield; Custom Grips and Pedals; Mini-Floorboards; Screamin Eagle Exhaust; Engine Guard; Detachable Backrest and Luggage Rack; Bar End Mirrors; LED Headlight.